I’ll admit, I didn’t jump on board the ugly sandal trend in spring of 2014 – I just couldn’t do it. This past weekend, while away on a girls weekend with friends, I had a change of heart. In the morning while lounging in the kitchen sipping my coffee, versions of the footbed/ugly sandal begin to appear out of the bedrooms on my oh-so fashionable friends. When J appeared in her distressed jeans and a fancy looking gold Birkenstock looking sandal, “Ugly Sandal” immediately popped into my head – but she looked so cute in them. 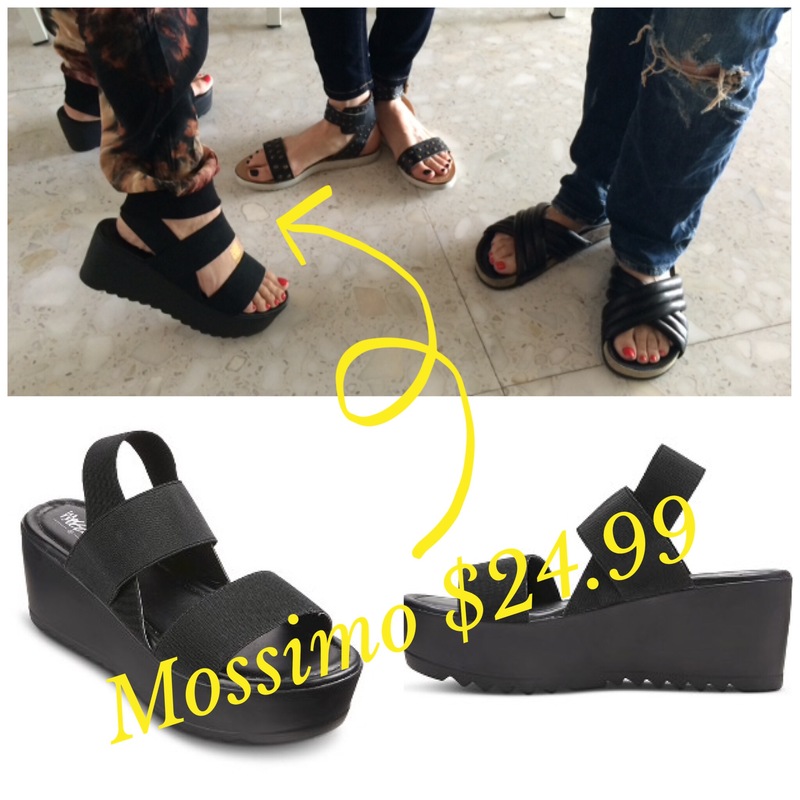 Then, K comes out into the kitchen wearing her version of the “Ugly Sandal” but it was not ugly, it was the Isabel Marant leather pool slide that will run you a mere $495.00 – now that is one fancy pool slide! Birkenstocks and Pool Slides AKA the Ugly Sandal from Spring 2014 are not looking so ugly anymore. The newer versions are actually super cute and trending big for Spring/Summer 2015.
out of the bedroom comes THE Isabel Marant ‘Holden’ Pool slide HERE | $495.00. Paired up with a pair of destroyed jeans and a casual cashmere sweater K was rocking the perfect casual weekend look! when out of bedroom #3 comes one more sandal I have to throw in! 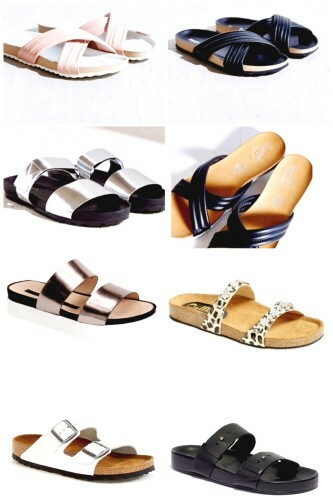 As for the middle sandal, it is by Deena and Ozzie | sold out HERE |Urban Outfitters. Hopefully they’ll be back in stock soon! Before we move onto more not-ugly-anymore sandals, I have to share with you the cutest canvas totes ever! 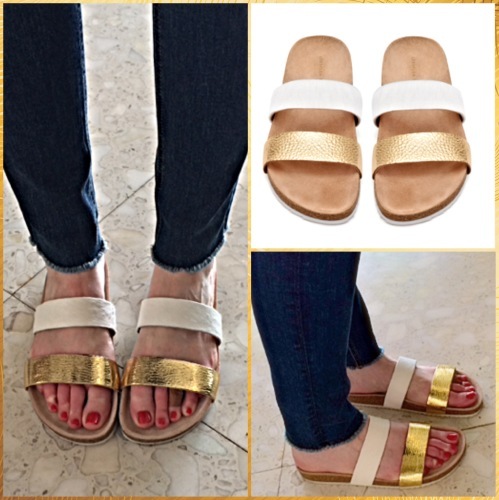 Jennifer Vallez is the owner of the gold/haircalf sandal above. Jen is an amazing artist, doodler and mom who is beautiful inside and out. I met her this past weekend and was so excited about her work I have to share her site, Sophie & Lili with you all. Jen was so kind to share a promo,’ TOTESCUTE’ for all AskSuzanneBell readers, good on her site till Wednesday (3/4/2015) at midnight. 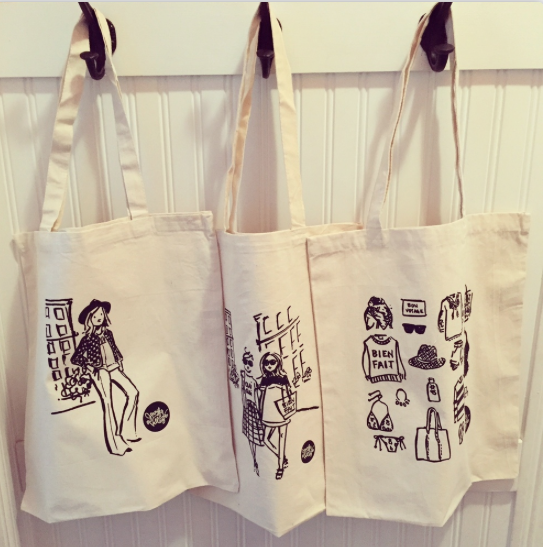 I just ordered 2 of her totes for myself and can’t wait for them to arrive! Is it just me or does that Dune sandal look pretty darn close to the Isabel Marant Pool Slide? 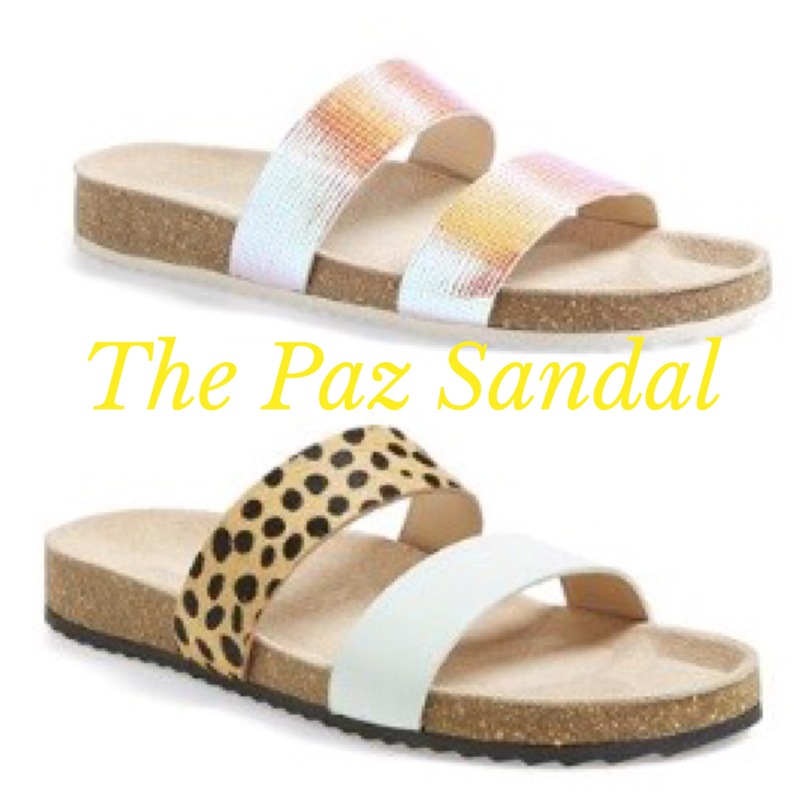 I think these sandals look great with anything from destroyed denim, boyfriend denim styles, skinny jeans, denim skirts and shorts to jogger pants, knit dresses and jumpsuits. These guys are here to stay! Don’t forget, if one or two of the darling Sophie and Lili totes caught your eye they are only $15 till midnight Wednesdaywith code ‘TOTESCUTE’, pop on over and take a look! Leave a comment below and thanks for stopping by! I’m really enjoying your blogs Suzanne. Today’s was especially fun. Sorry, Suzanne, but those sandals are still ugly…all of them! I still can’t do the “ugly” sandal! It’s traditional flip flops for me!